Green and Gold Tree Removals are the local experts when it comes to tree cutting in Bayswater. With a wealth of experience in Government, public and private tree maintenance work we provide the very best outcome for our clients. 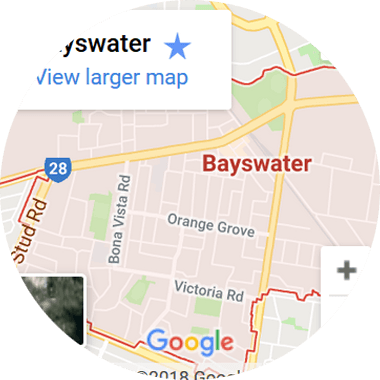 If you have a hazardous tree, a tree that is dying or in need of heavy pruning, with Green and Gold tree cutting Bayswater, you can feel safe knowing that you have an experienced and knowledgeable crew on the job. We’re committed to delivering superior customer service and ensuring we provide the best job the first time, every time. For fast and reliable tree cutting and tree removal Bayswater, choose Green and Gold. Is there a tree in your yard that’s looking unsafe? Does it cost you too much to maintain? Whatever the reason, Green and Gold can remove your tree using the correct equipment and safe cutting methods. Our knowledgeable and expert team has the right techniques to remove all heights, sizes and types of trees, from pine to gum trees or even palm trees. We deliver fast, uncomplicated and reliable results that provide the best level of tree care. We’ll also clean up once the job is complete, so the process is free of hassle. For safety and expertise when caring for or removing trees, you can count on our commitment to do the job right. If it is left unattended, a tree stump can become a dangerous hazard when walking, playing or doing yard work. A stump can also become a risk to other trees, and surrounding areas if it becomes infected with disease or home to termites. Mostly, tree stumps just become an eyesore, hampering the overall appeal of any landscape. At Green and Gold Tree Removal Services, we have various methods for tree stump removal Bayswater projects. Our experienced team make every possible effort to ensure your stump removal Bayswater project is quick and safe, while also making sure that the stump doesn’t emerge from the ground. You’ll be left with a blank canvas to landscape however you please. For your personal safety and the safety of your home, it’s important to check your trees regularly and to call a certified arborist if you see anything unusual. Here at Green and Gold, we can assess your tree and its environment for safety risks. You can trust the team at Green and Gold to give you the best advice for your tree and the surrounding property. With many years of experience in all areas of tree management under our belt, we can expertly assess your tree and provide you with the right advice. We’re committed to providing superior, friendly service from the first contact right through to completion of the job. For a free, no obligation quote, call us on 0410 634 007 today.